Elizabeth’s Reserve is always my favorite Adelsheim wine to drink, even if it’s also the most painful to put together. It requires endless iterative tasting trials to get the wine balanced just so. 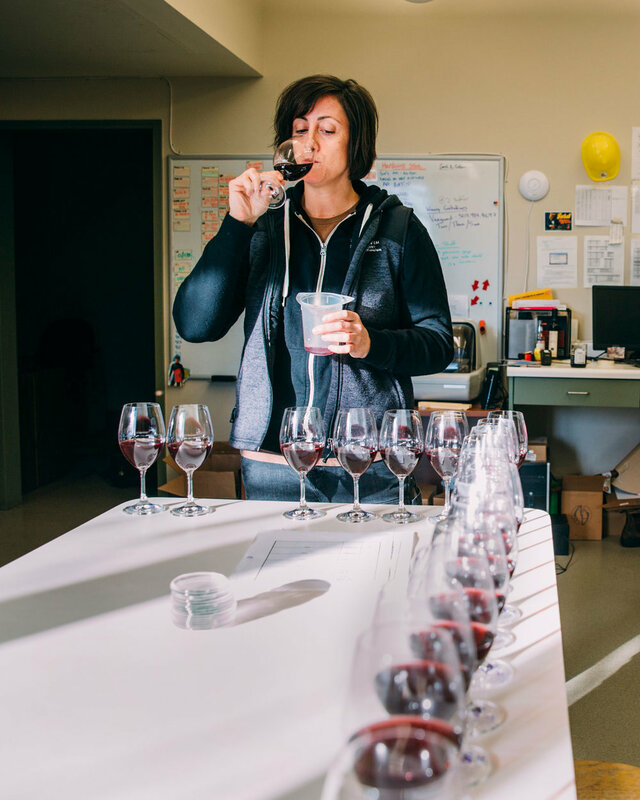 It needs to be faithful to the style we’ve developed for Lizzie and yet also respect the natural vintage variations we see in the Willamette Valley. Most importantly, it needs to be delicious and complex and make you want to go back for a second (or third) glass. Tasting notes include picking raspberries in the afternoon sunshine—you know, like when they warm up and you get a subtle hit of spiciness, some dusty earth, and fresh fruit juiciness. Also, you probably stepped on a few as you tried to get into the brambles. The tannins are supple, like velvet or satin…maybe velour if you’re feeling cheeky.